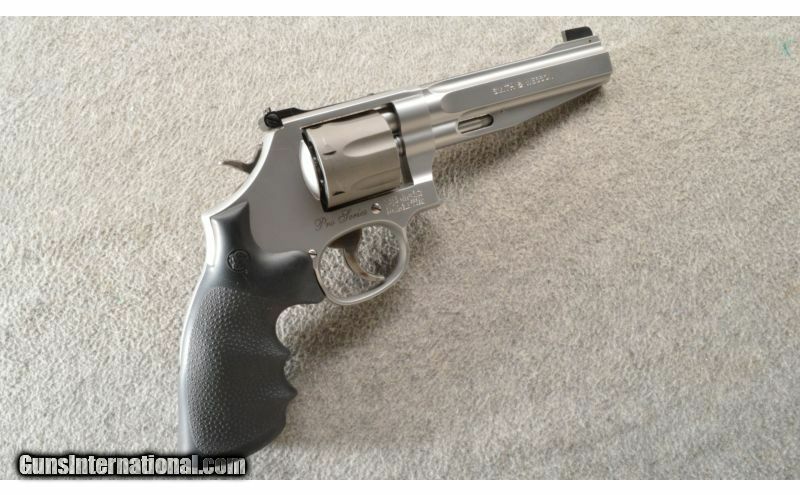 This is a hard to find Smith & Wesson Model 986 Pro Series from the Performance Center. 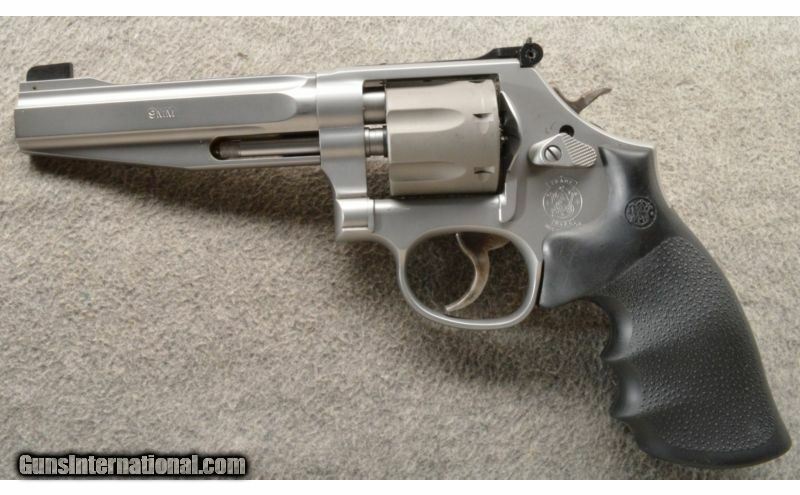 This nice revolver is a 7 shot with a titanium fluted cylinder and a 5 inch barrel with a precision cut crown. 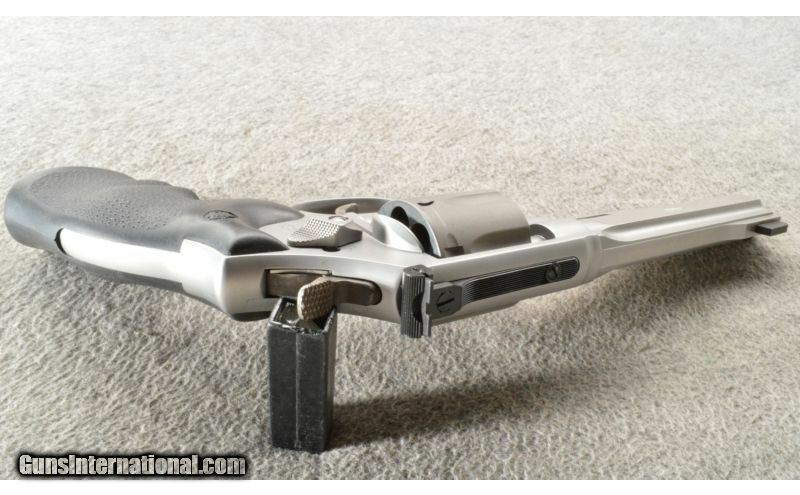 The revolver has an adjustable rear target sight and a Partridge like front sight. This nice revolver comes in the factory case with a moonclip. Wood Condition: The grips ae excellent. Barrels: 5 inch stainless steel with sights. Triggers: Single case color for single and double action. Stock: Smith & Wesson black rubber fitted grips. Sights: Adjustable rear target sight and a Partridge like front sight. Extras: Comes in the factory case with a lock, moon-clip and factory paperwork.